The SITRANS LG series are guided wave radar transmitters for level, level/interface, and volume measurement of liquids and solids. It is unaffected by changes in process conditions, high temperatures and pressures, and steam. Don’t forget that the safest engineered level measurement solution includes switches for back-up, overfill, low level and dry run protection. SITRANS LG250 A guided wave radar sensor for continuous level and interface measurement of liquids. 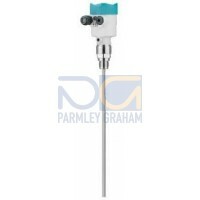 SITRANS LG260 A guided wave radar sensor for level measurement of solids.